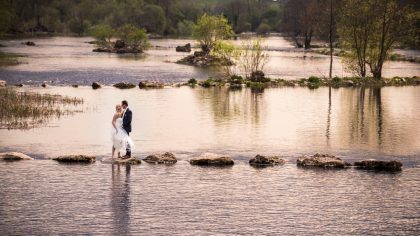 After seeing this sweet couple’s wedding photos, we definitely wish we could have joined the party! 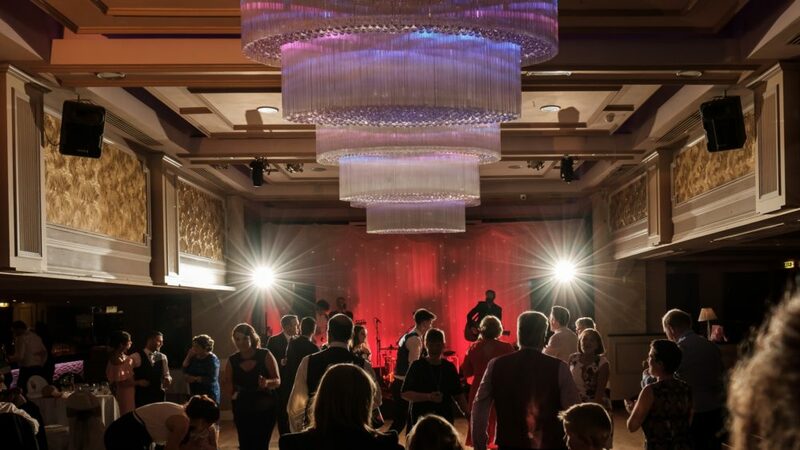 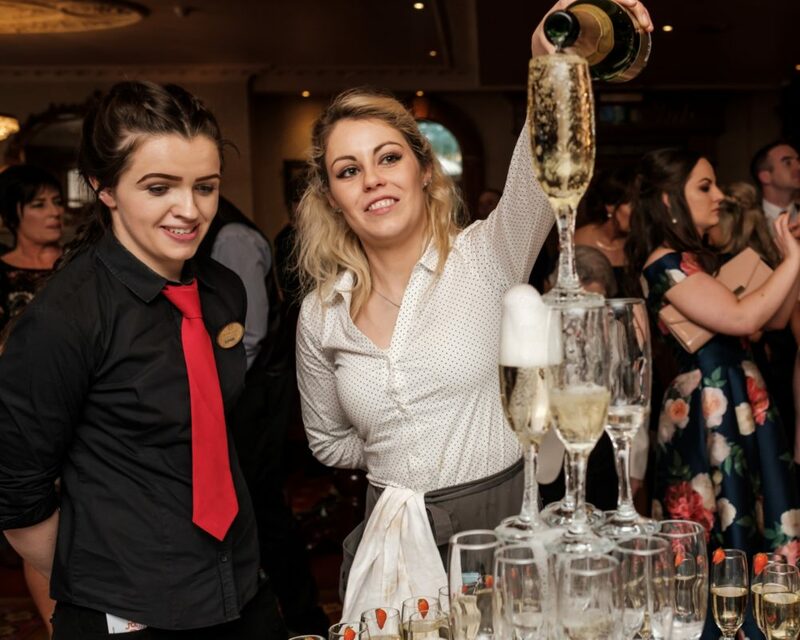 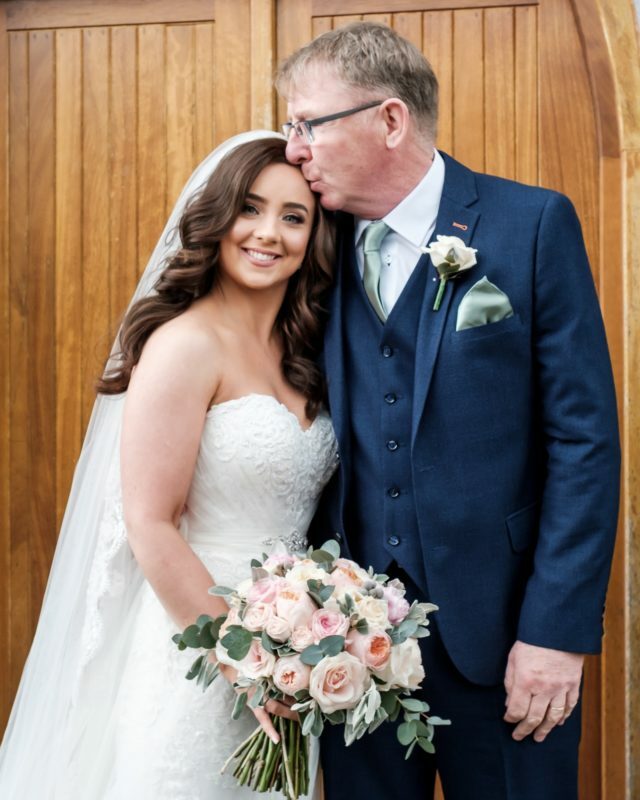 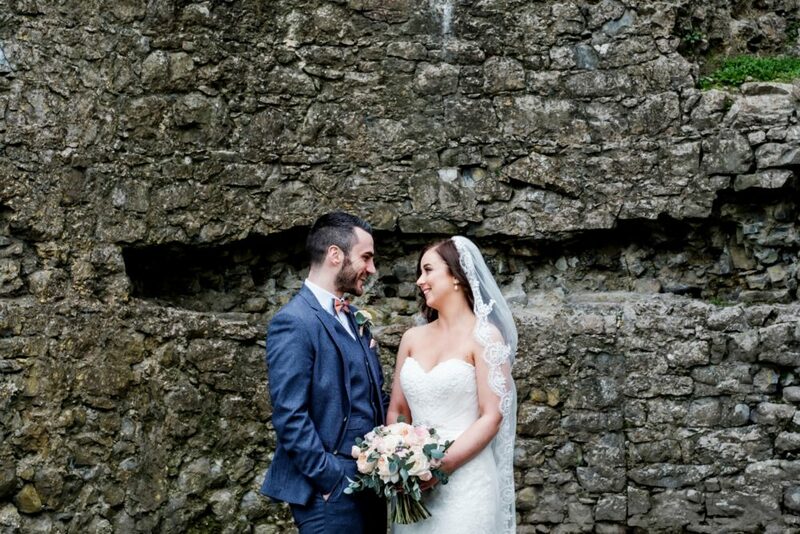 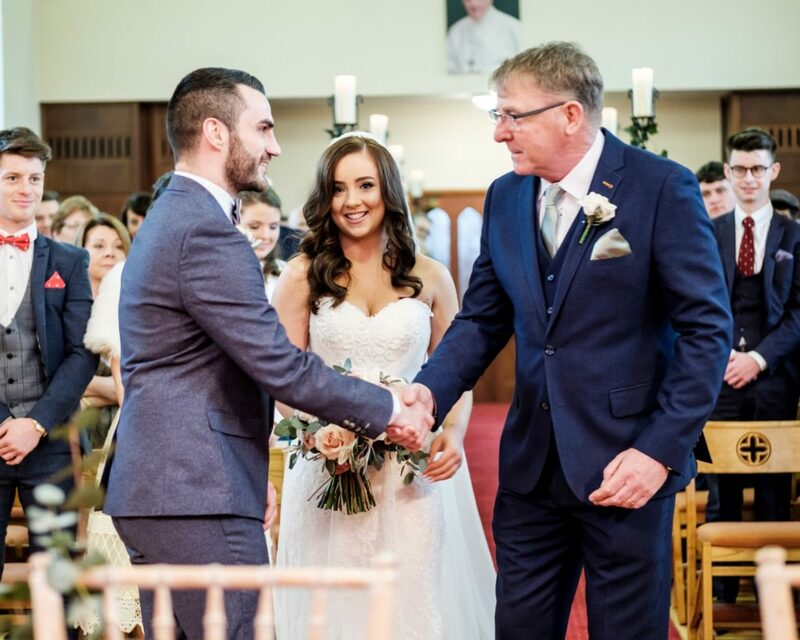 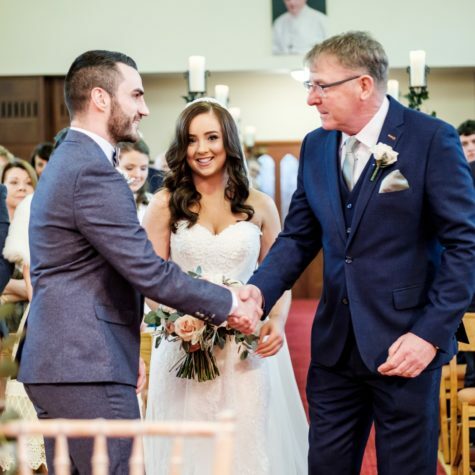 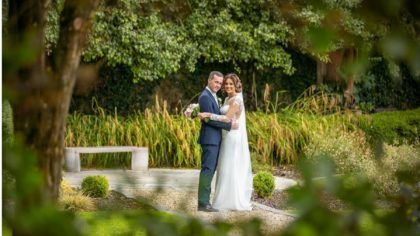 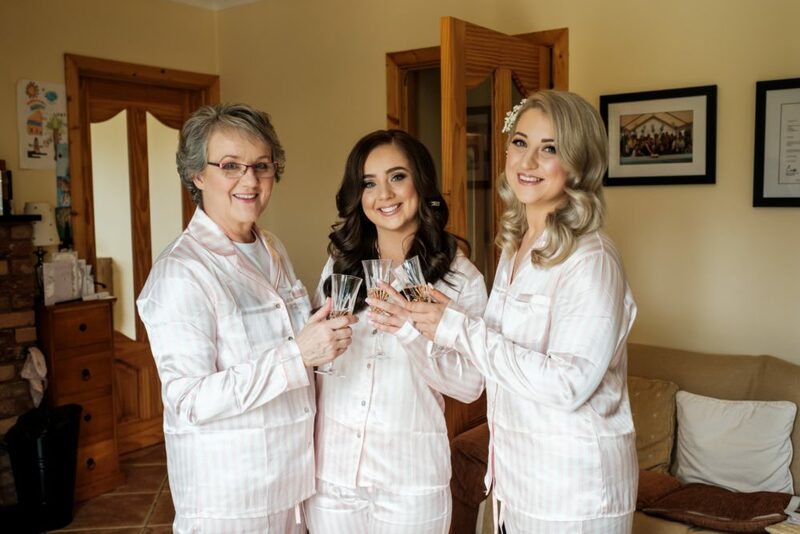 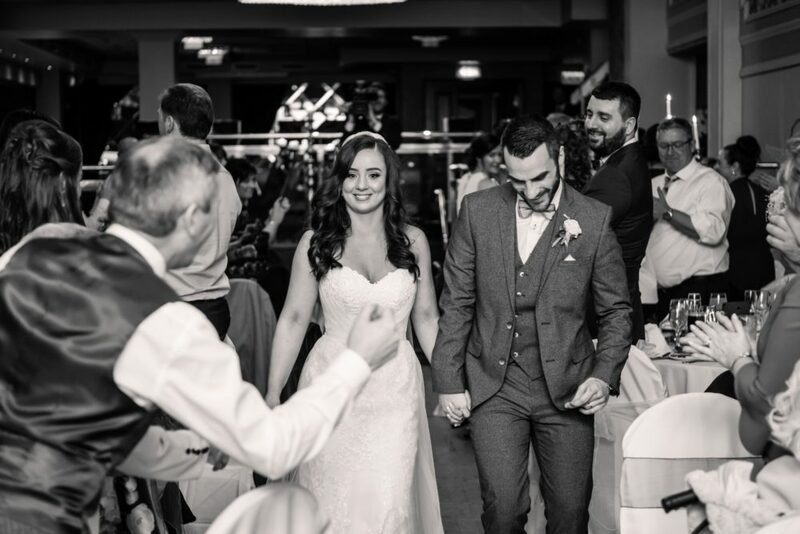 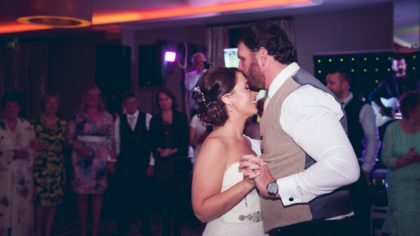 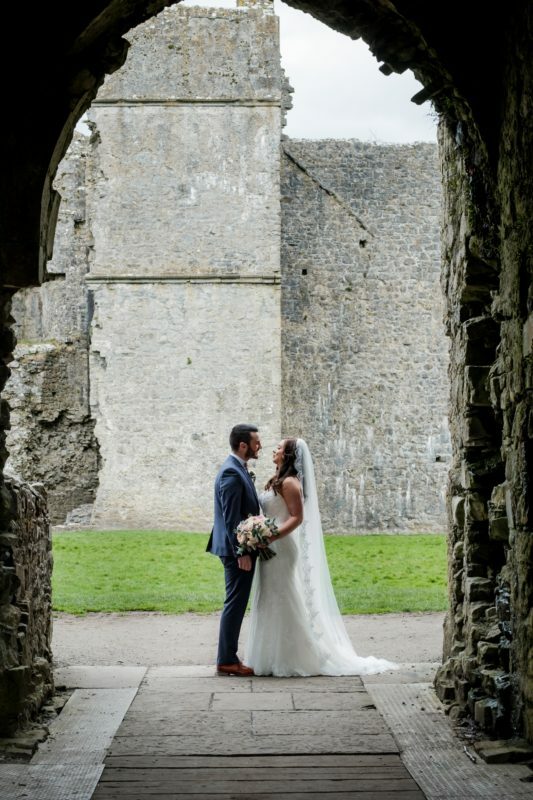 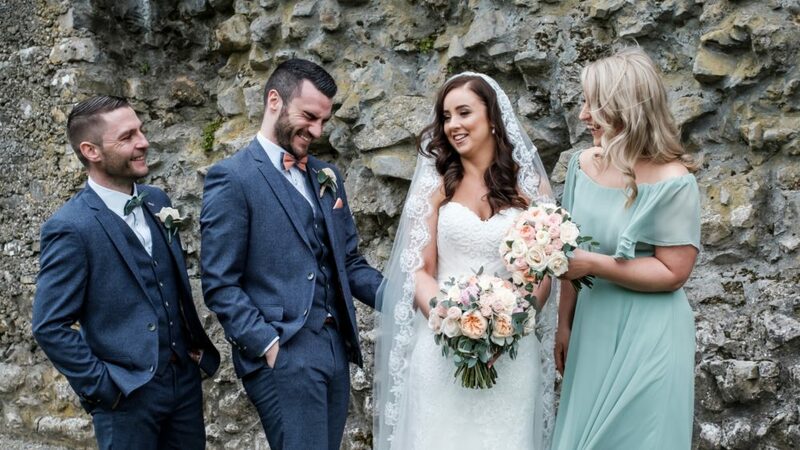 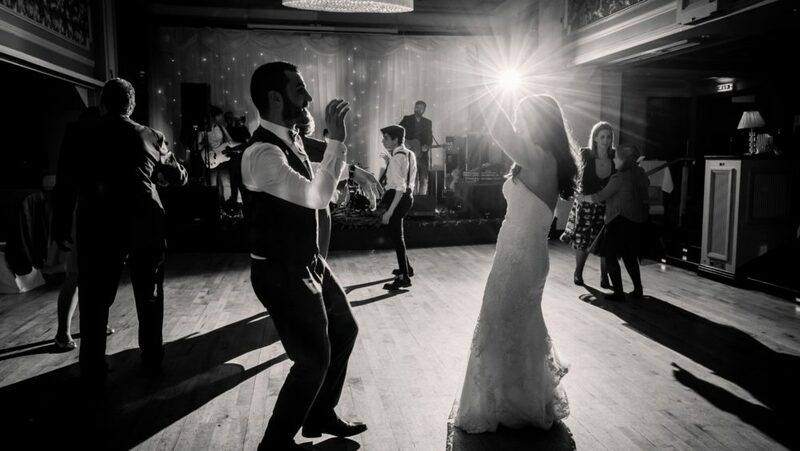 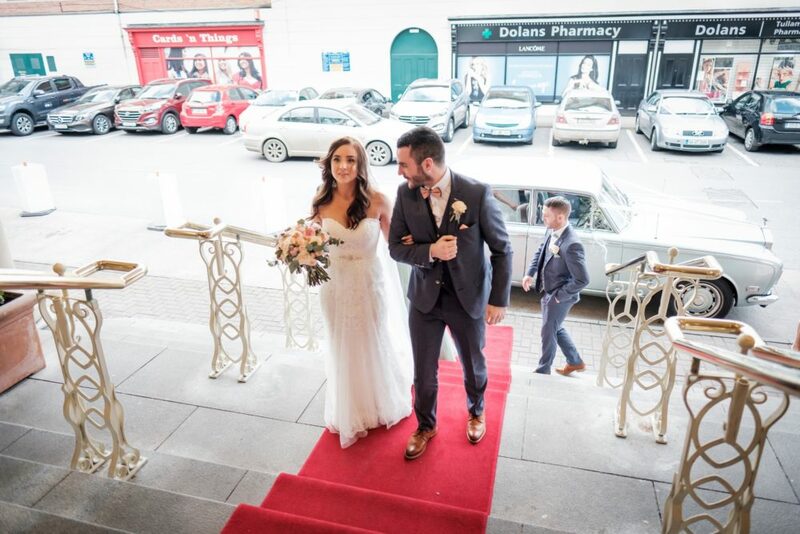 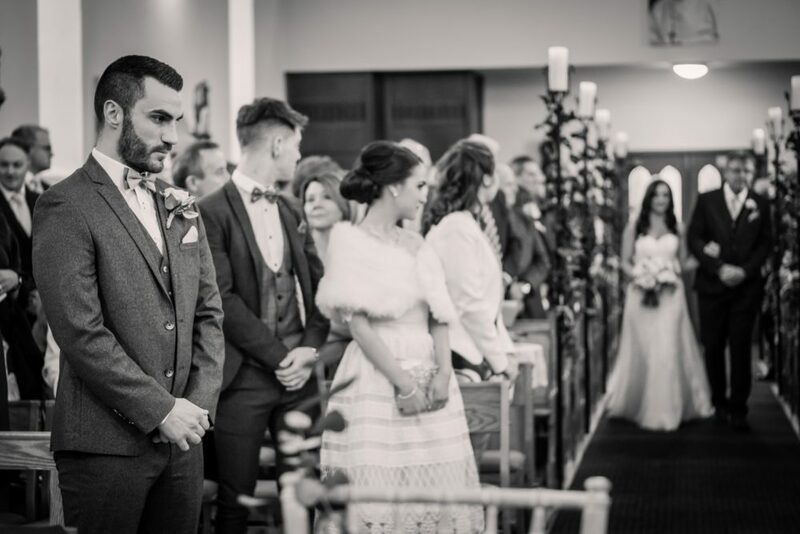 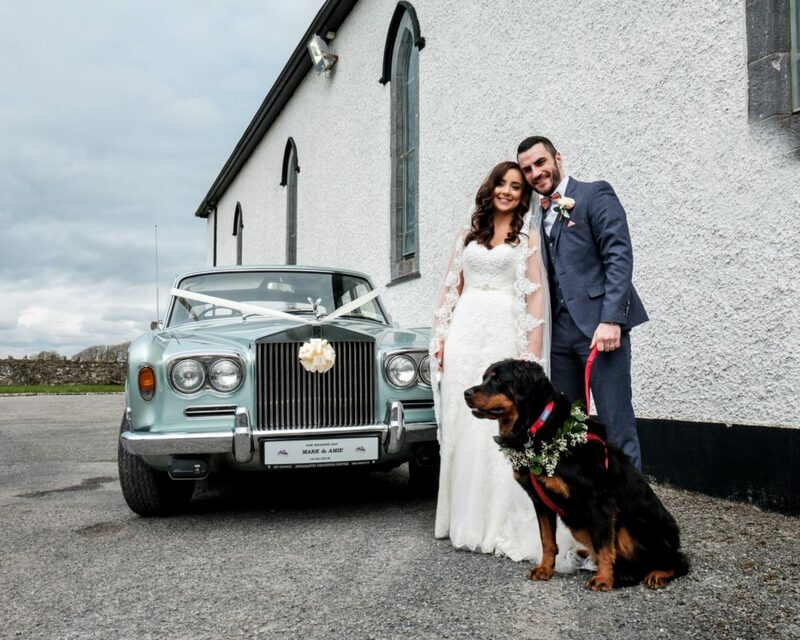 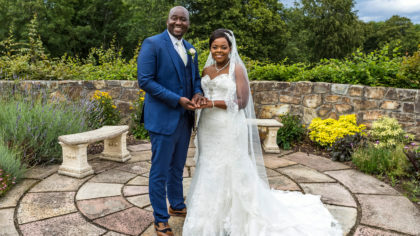 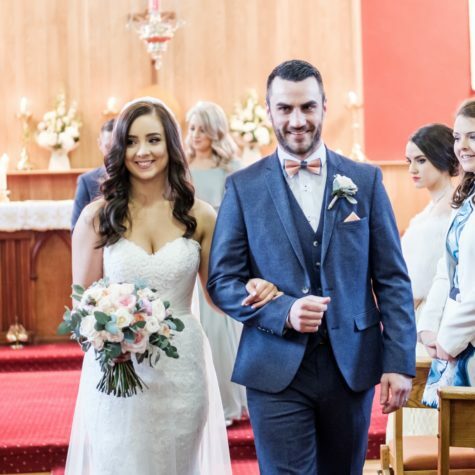 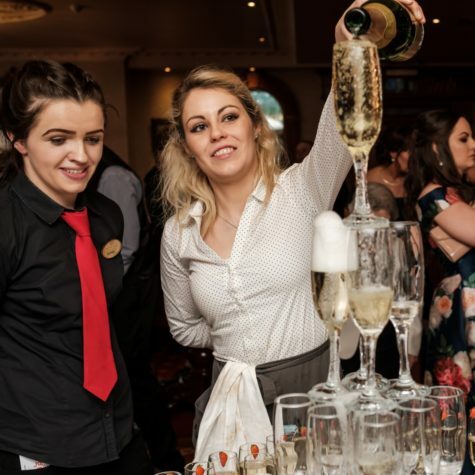 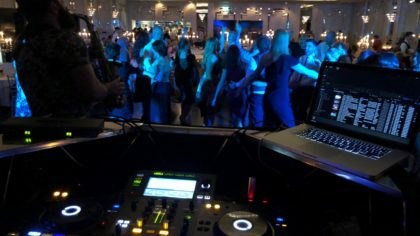 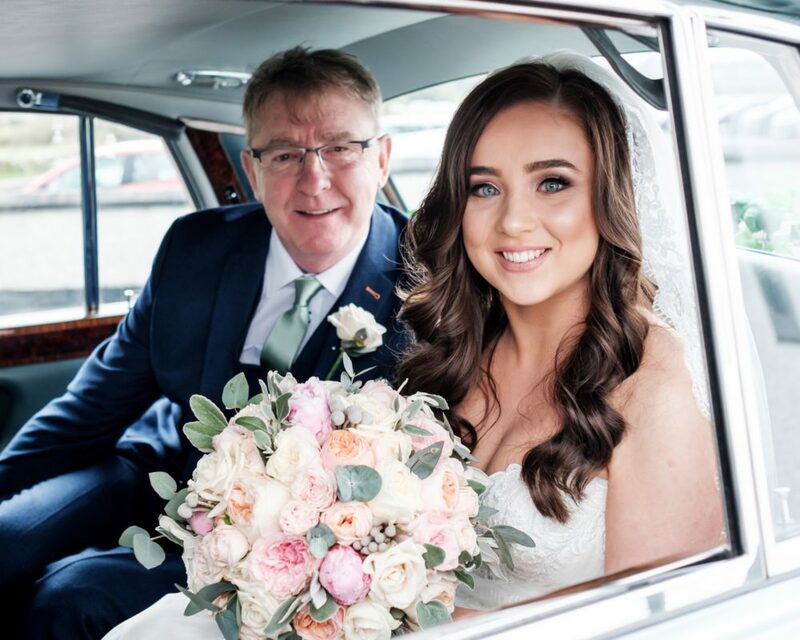 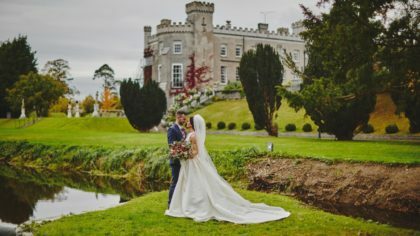 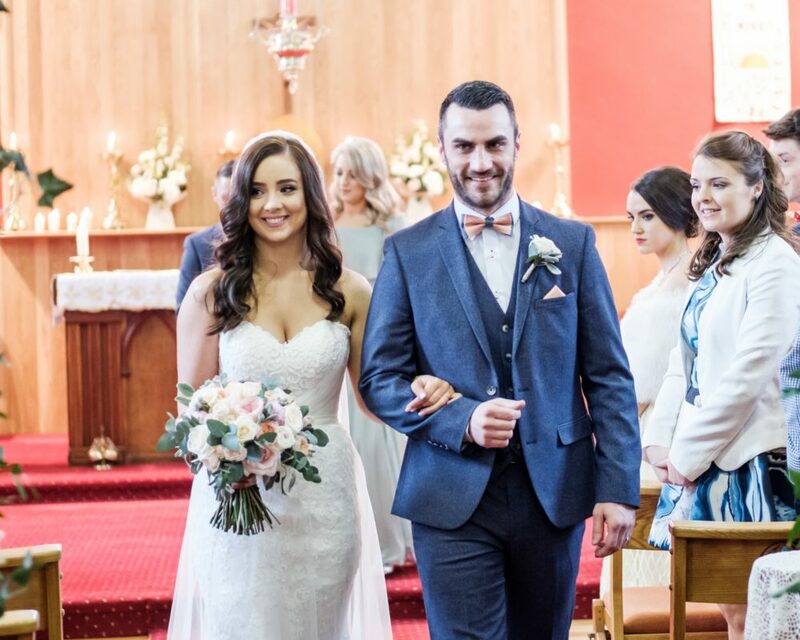 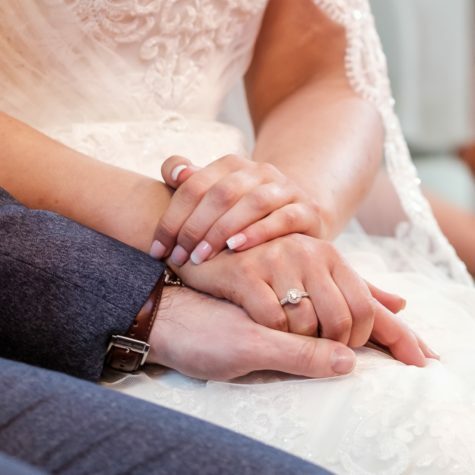 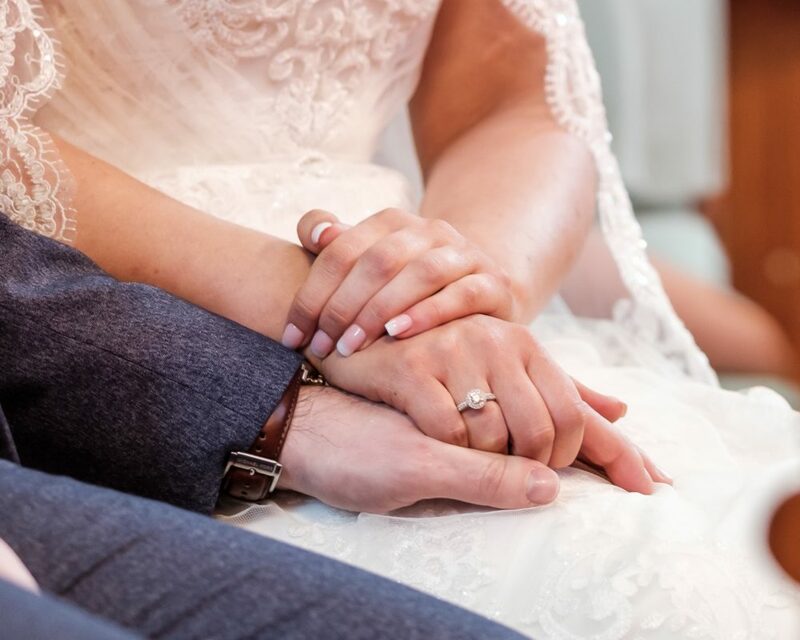 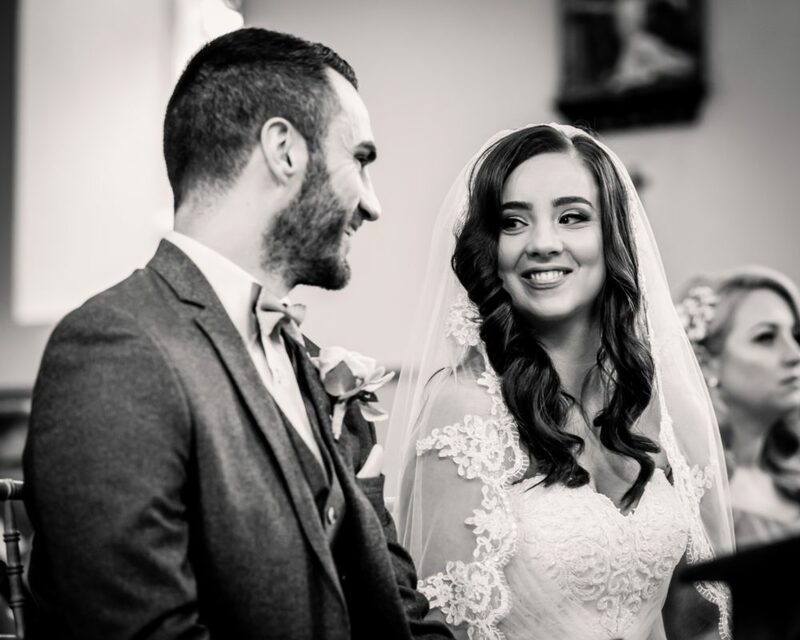 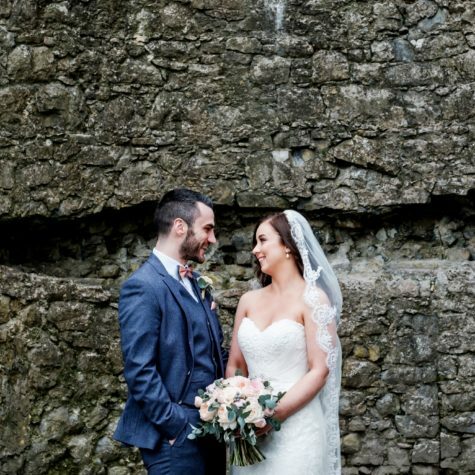 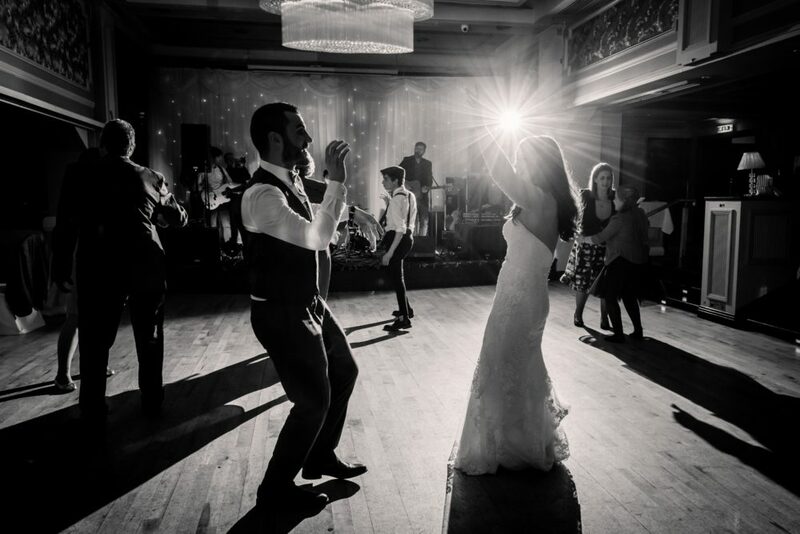 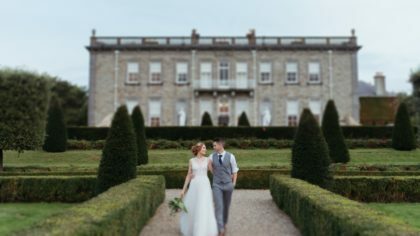 Mark and Amie’s romance has blossomed from a very romantic first date at Supermac’s to a fun and fabulous celebration at Bridge House Hotel! 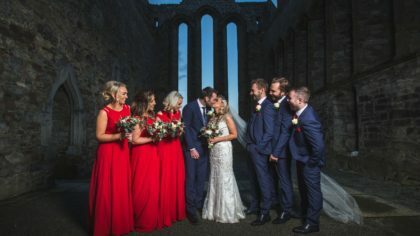 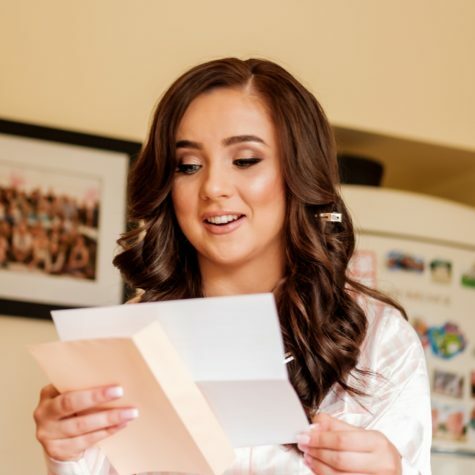 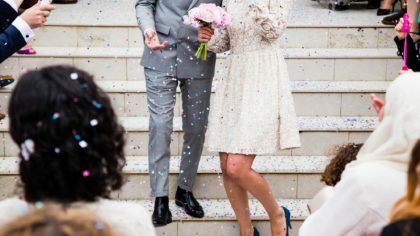 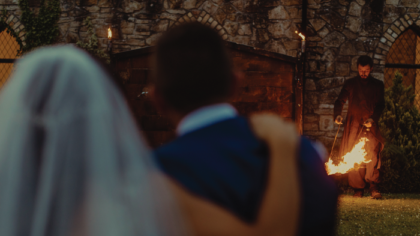 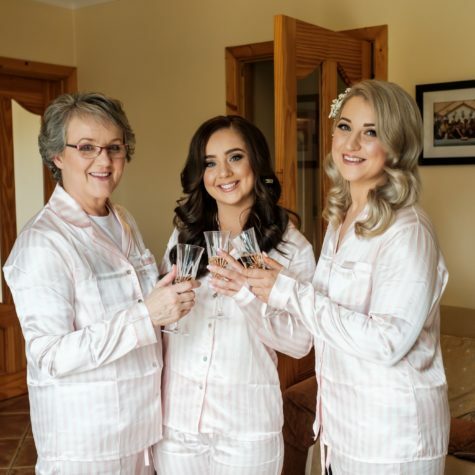 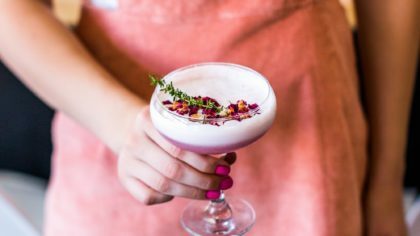 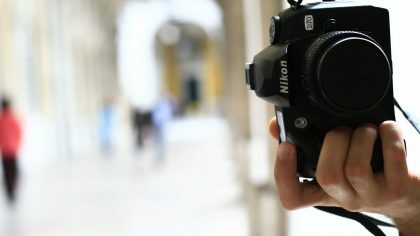 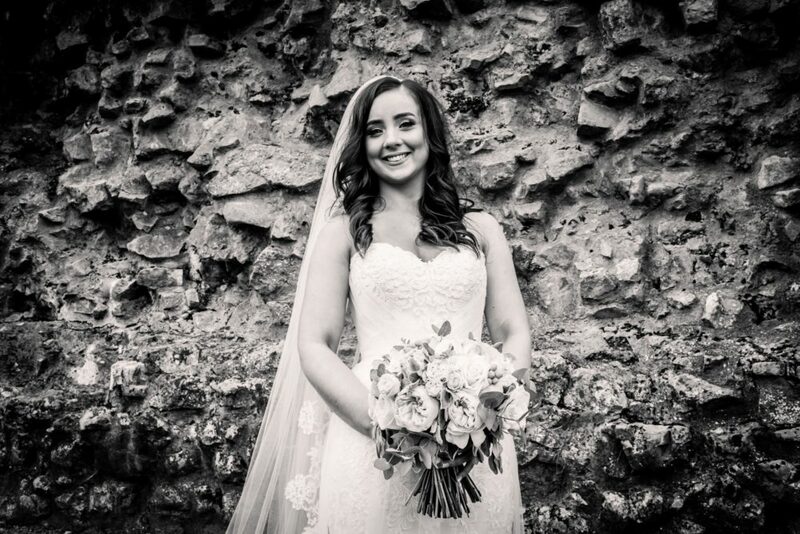 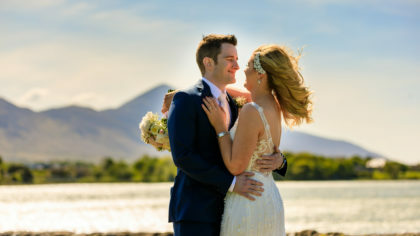 Trust us, you won’t be able to stop smiling after seeing the gorgeous details of their day and the bubbling over of love and excitement on their faces captured by Paula Nolan. 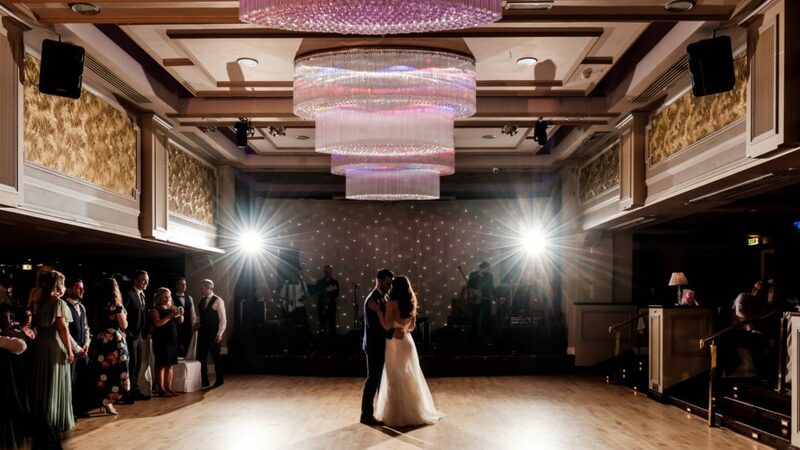 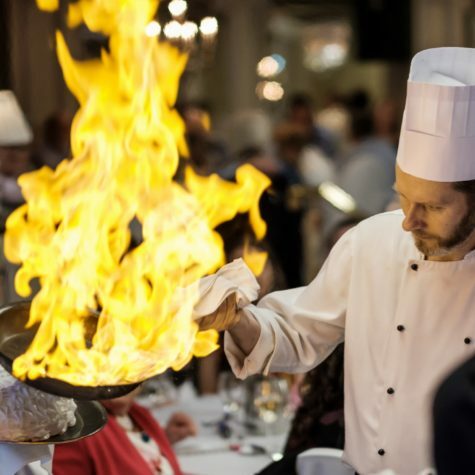 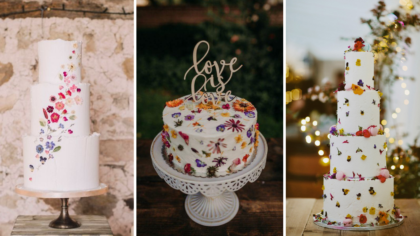 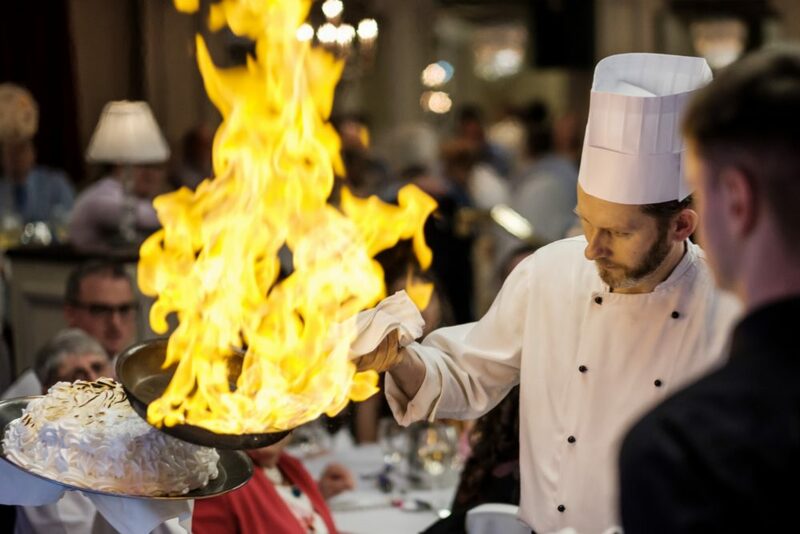 We can’t deny we love weddings that offer a bit of style and flair! 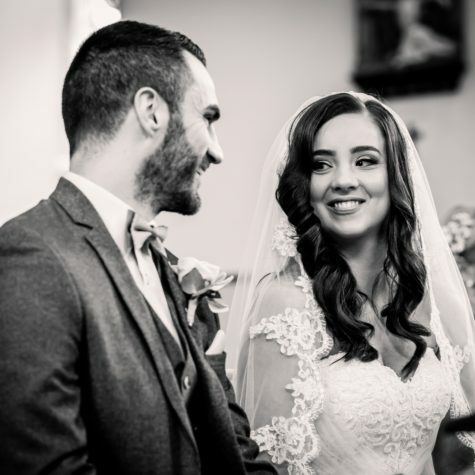 Not only did the blushing bride’s makeup look totally flawless, her breathtaking lace gown was the perfect combo of class and modern elegance. 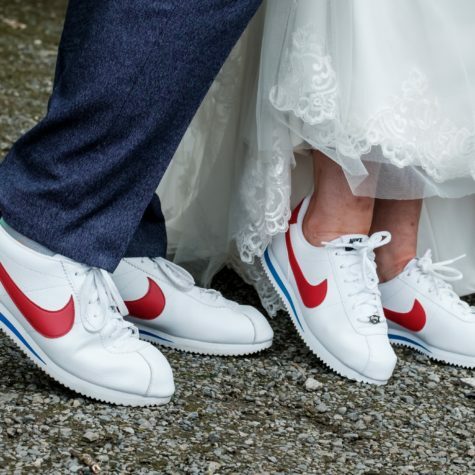 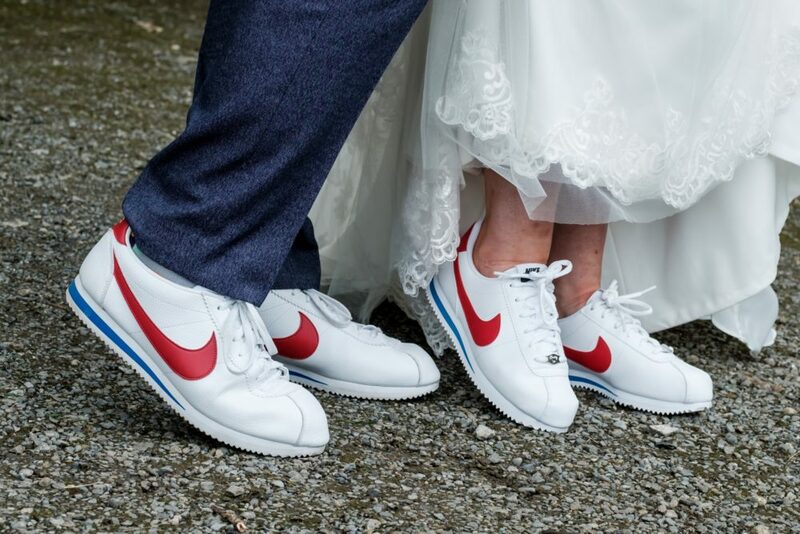 Paired next to Mark’s blue/grey suit and orange dicky bow these two were all style…Did we mention the matching Nike runners?! 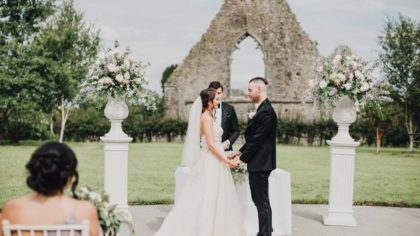 “When I got to the altar and saw Mark it was like everything had fallen into place, our 2 years of planning had become a reality and the most important thing of all was that we were standing their side by side.